Home › WRITINGS › ARTICLES › Why doesn’t everyone study the West, like we study Ancient Egypt? Ancient Egypt believed its religion, philosophy, beliefs about humans and culture were the universal standard and measure of truth. Now it is just an past civilisation that no longer exists, nor whose intellectual worldview has any influence (except of course, in ‘Mummy movies’). The most prominent civilisation at the moment is the Western civilisation, which holds beliefs, philosophies, beliefs about humans and culture, which it considers the universal standard and measure of truth. 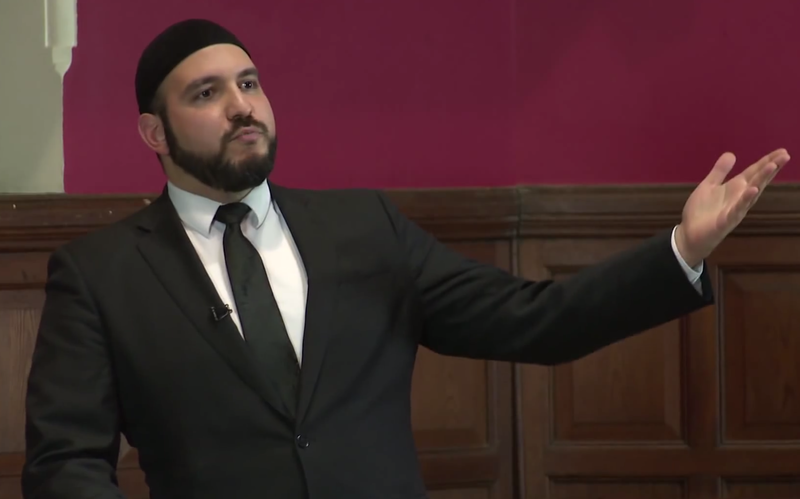 The difference between the colonialised Muslim, and the intellectually authentic Muslim, can be seen in their approach to studying Western studies. While the intellectually authentic Muslim studies Mathematics and the physical sciences to adopt them for their obvious practical purposes, the colonialised Muslim goes further and adopts the studies known as the ‘humanities’, which describe all Western studies of humans, based upon the Western philosophic worldview. These include its viewpoint to psychology, sociology, history, political philosophy, ‘gender studies’ and general philosophy. These studies are not based upon physical evidence of natural law, but use understandings tainted with assumptions, biases, speculations and hypotheses which assume that some kind of Individualism is the basis for looking at humans. Empirical studies cannot determine anything which is intangible. So ideas, mind, thought, society, history, language, economic system (not to be confused with resource extraction, farming or transport technology) and ‘purpose’ are outside its ability to discuss. Science deals with what is, not what ‘should be’. It only finds material causes, not intellectual or emotional ones. This is why all civilisations need to use their own cosmology in order to interpret all things related to humans. During the Cold War, Communist countries taught humanities based upon their viewpoint to humans (i.e. dialectical materialism), which as historians can now agree, skewed their results. However Colonialised Muslims (as is most Westerners) are unable to study their Western thinking, from a perspective of detachment. Colonialised Muslims and Westerners may argue that Western educational institutions, irrespective of the philosophical traditions of the West, are objective and unbiased. However, would they have said the same of Communist states and their educational institutions during the cold war? Modernism, post-modernism, materialism, gender individualism (feminism) and Individualism all are fundamental biases that are interwoven into Western studies of the humanities. There is no doubt that we can use western documentation of their own culture and society as resources for use by Muslim historians and anthropologists (in order for us to document Western civilisation), however, any useful means of analysis Western thought brings is not fully objective, and unable to free itself of its methodological bias. As for all the empirical sciences, well, all sources of such knowledge should be welcome. The intellectually authentic Muslim may also study Western humanities alongside the Colonialised Muslim, but the difference between the two, is like two people studying Egyptology. One Egyptologist studies Ancient Egypt for the sake of understanding its flaws, achievements, beliefs and quaint customs, while the other one studies Ancient Egyptian knowledge to adopt it into his own worldview!! Which one of these is the absurd one? The Quran commands Muslims to stand as witnesses to the eternal truth, that has come down to mankind since its very beginning, witnessing to each civilisation, and calling them to the truth. Western civilisation, is just one of many civilisations Muslims have encountered, and like all the rest, it believed themselves to be the ultimate arbiters and cognisance of truth, yet it too, like all the rest, will be consigned to history eventually, and their beliefs and dogmas about individualism will turn into myths, and their culture will turn into quaint tales of a forgotten society. The difference then between the Colonialised Muslim, and the intellectually authentic Muslim is, one regards the West as its teacher, while the other regards the West as merely another lesson, and warning. This has got to be a joke. Filled with propaganda, anti-western hatred and sexism. You are so full of yourself. Newsflash. The was a world BEFORE Islam and there will be a world AFTER Islam. If Islam is so great, what’s with the wars, terrorism, MISOGYNY. So, you think killing women, marrying female children, denying them rights is something to aspire to? It isn’t. You think strapping bombs to yourself, or worse, innocent children, is okay. You think killing a young girl for daring to go on FACEBOOK is okay? Man, it’s a good think I have avoided your primitive religion and culture. The human condition, and yes, there is such a thing, existed prior to religion and will exist after religion.Math and science teach about our world, but does not teach us how to understand each other and RESPECT each other. Knowledge is knowledge. I’ll take all of it, and not the part YOU think is useful. My God, you just embodied the ignorant Islamaphobe, Actually study Islam without bias. Secondly we come from a view that all humans come from Adam, therefore Islam has been there and religion has been there since the dawn of man. And we condemn all those incidences, and if you believe Islam condones that it just shows your hatred filled heart and ignorance and lack of objectivity and exactly what Abdullah speaks about. Study a bit more about Islam and you will understand why he says the things he says. And in what context instead of ranting in ignorance, showing what a hateful foolish person you are. So CALM DOWN. And stop being stupid and one of those primitve minded hate mongers like from movies. Make intellectual arguements and show how Islam is primitive or how the essential message of Islam, not the final form revealed to Prophet Muhammad (peace be upon him), is false.